In most cases, pensions are better for employees than most company offered 401K plans. Today most pension plans in private companies have been phased out in favor of the 401K plans, and fewer employees have what was traditionally considered a guaranteed pension. For those receiving pensions, there may be a feeling that their pension income is a solid source of income because it is guaranteed. But how iron clad is a pension? A pension is a benefit that an employer promises to pay an employee at retirement for life. This is usually done through monthly payments, although some plans may include or offer a lump sum option to employees. For some employees, the pension comes with subsidized or free health care benefits in addition to the monthly payment. There is a legitimate fear of employees not receiving their pensions if the company they had worked for their whole lives and paid into for the guarantee of a pension later in life went out of business or filed for bankruptcy. For some private sector employees, there is a government agency, the Pension Benefit Guaranty Corporation, that guarantees some payment if your company goes bankrupt and can no longer pay out your pension. This only applies if your company’s pension plan is insured through this program, which will pay out your pension up to a limit set up by law. Workers whose pensions are as a result of working for a federal, state, and local government are not covered under this insurance plan. In most cases, some companies try to make changes to pension plans by reducing future benefit payments to be paid to employees who are yet to retire. While these changes do not usually affect those employees who have already retired, there are cases where changes have been made to retirees. Such reductions are rare, especially when it comes to government plans, because payments to people who have already retired are protected by law. Often pensions, especially government pensions, are also plagued by underfunding problems, which means that they could run out of money before they pay out benefits to future retirees. This is one of the reasons that employees who are eligible for pensions as part of their employment are advised to have other retirement savings plans to protect them in the event that they cannot collect a pension or their pension is reduced. Workers may also have to work longer and delay claiming social security until at least age seventy to increase their social security benefits and increase their overall monthly retirement payments. For those workers who make it to retirement and receive the promised pension, there is still another problem that they may encounter: pension overpayment. This happens when the pension plan pays out too much to a retired employee, and then upon discovering the mistake, seeks repayment from the retiree. This can reduce the pension payments to next to nothing as the plan cuts benefits until the overpayment is recovered. While these kinds of cuts can be appealed in court, chances of success are low, and the retiree often has to live with this reduced benefit payment. 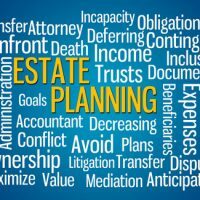 For more information on how you can handle legal issues affecting you later in life, including estate planning, Medicare issues, and long term care preparation, contact our experienced elder law attorneys at the Millhorn Elder Law Planning Group in The Villages, Florida for a consultation.